Learn how to access and modify the Element List Reports automatically generated by your Script Breakdown. 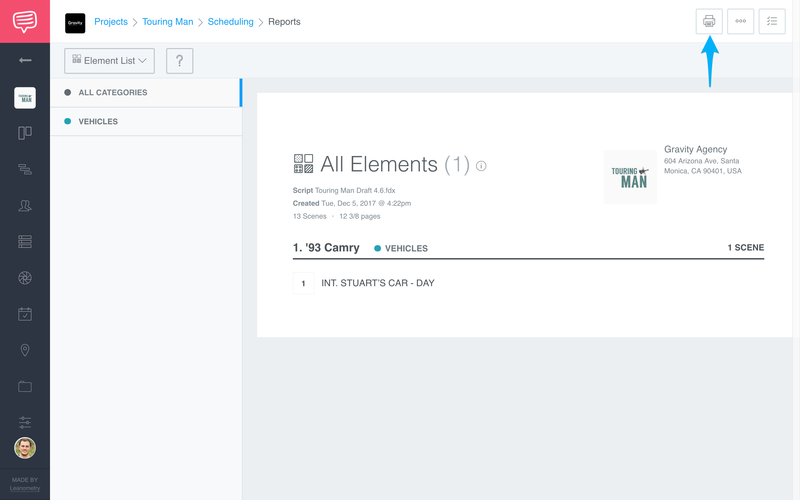 After tagging elements, you can easily print or save your Element List Report as a PDF. 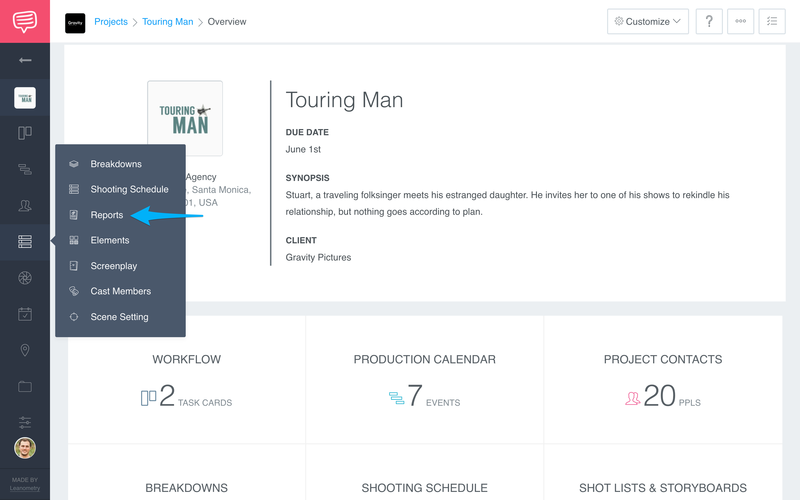 This report is automatically generated and updated by the tagged elements on your Breakdown page. For example, if you need to export all the Props or Cast Member elements, you can easily print or save them as a PDF. 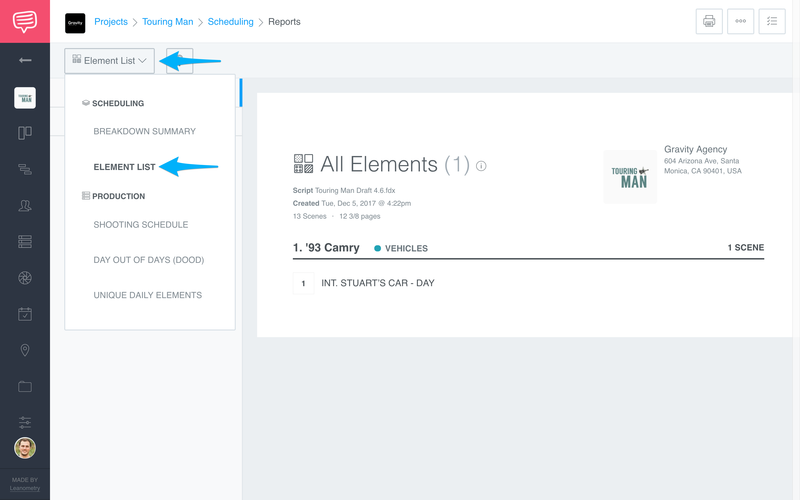 Navigate to the Scheduling sidebar and click Reports. View the reports drop-down menu and click Element List. Tagged elements will be automatically added to this report. The report can be printed or exported as a PDF by clicking the Print Page button.